William Roy Trueblood obituary. Carnes Funeral Home. 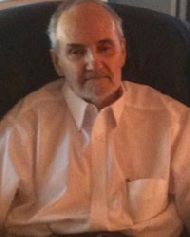 Jun 17, 2012 The Carnes Funeral Home Staff offers our sincerest condolences to the entire Trueblood family. It was our honor to serve your family. William Roy Trueblood “Bill” passed away November 16, 2011, just days after his 72cd birthday. His bedroom was filled with birthday cards, flowers and balloons. He enjoyed visits from all his children in the last few weeks, and was so happy to be out of the hospital. Bill was born in Decatur, Illinois on November 12, 1939 to parents William and Mildred Trueblood. Bill worked as a software engineer for NASA and was proud to be a part of the Space Program for 20 years. Bill also loved teaching Math and did so at colleges in Florida and Texas City. He was an avid reader, and in fact, a neighbor said she hopes the Lord assigns him the library so he can read all the books he wants! Bill had 1200 books in his home library before downsizing and donating to the local library. He also enjoyed his computer, and feeding and watching the birds and squirrels in the back yard of his Clear Lake home. Bill was preceded in death by his parents, and Sister Patricia Verry. He is survived by his wife Monica of 35 years who was at his side for his peaceful death at home where he requested to be. He is also survived by his sister Joan Boehler and husband Tom, children; William Ray Trueblood and wife Dotty, Linda McClary and husband Willis, Joyce Brom, Jayne Trueblood, Fred Trueblood, and Michele Metts and husband Daniel. Grandchildren; Alyssa, Amber, Amanda, Bethany, Nate, Jared, Nathan, and Jason and his wife Stacey. Great Grandchild Landon, along with numerous nieces and nephews. Bill was a fighter and put up a long and sometimes very difficult battle with Mantle Cell Cancer. When Standard treatments were no longer working he volunteered for clinical trials so others might benefit. Bill loved the doctors at M.D. Anderson Cancer Center, especially Dr. Neelapu and Dr. Kovitz who we thank for their compassion. A service for the family was held on Friday November 18that the Clearlake United Methodist Church with a great pastor and wonderful pianist in a small chapel of the church. We love and miss you, but know you are in a much better place. In lieu of flowers, memorials made be made to MD Anderson Cancer Center or the Lymphoma Society.